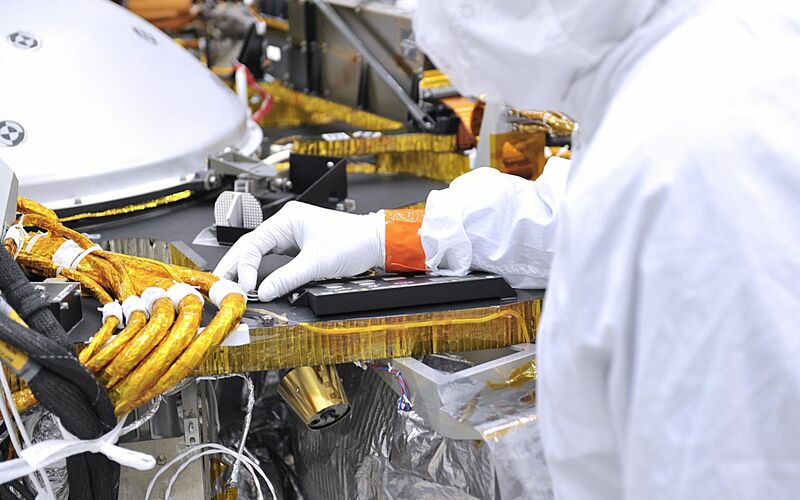 An engineer in the clean room at Lockheed Martin Space in Littleton, Colorado, affixes a dime-size chip onto the lander deck of NASA's InSight spacecraft. This second microchip, contains 1.6 million names submitted by the public to ride along with InSight to Mars. The chip was installed on Jan. 23, 2018. This joins another microchip that was previously installed that included 800,000 names for a grand total of 2.4 million names going to Mars as early as May 5, 2018. Engineers at NASA's Jet Propulsion Laboratory, Pasadena, California, put the names onto this tiny 0.3 square inches (8 millimeter-square) silicon wafer microchip using an electron beam to write extremely tiny letters with lines smaller than one one-thousandth the width of a human hair. 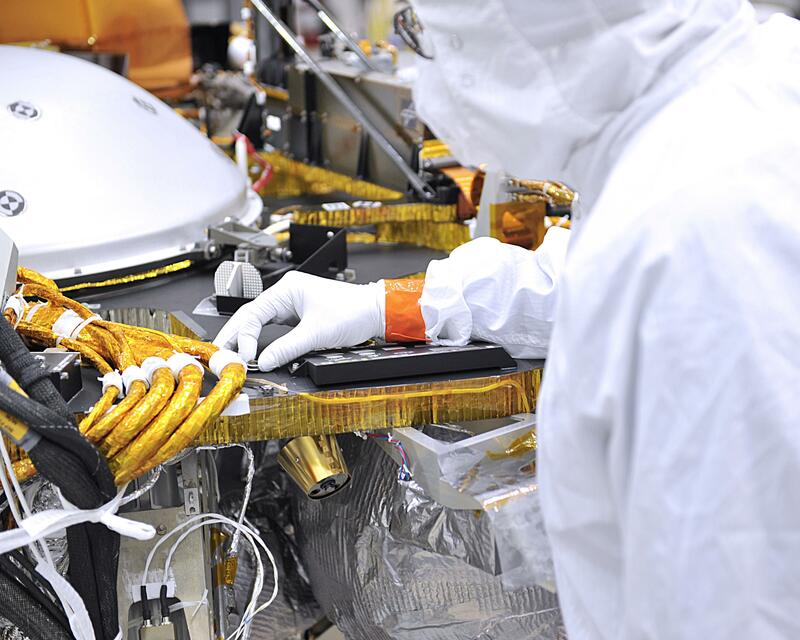 The dime-size chip is affixed to the InSight lander deck and will remain on Mars forever. Normally used to make high-precision nanometer-scale devices, this technique was also used to write millions of names that were transported on NASA Mars rovers and Orion's first test flight. InSight is the first Mars mission dedicated to study the deep interior of Mars. Its findings will advance understanding of the early history of all rocky planets, including Earth. Members of NASAs Mars 2020 project install the Mars Oxygen In-Situ Resource Utilization Experiment (MOXIE) into the chassis of NASAs next Mars rover.